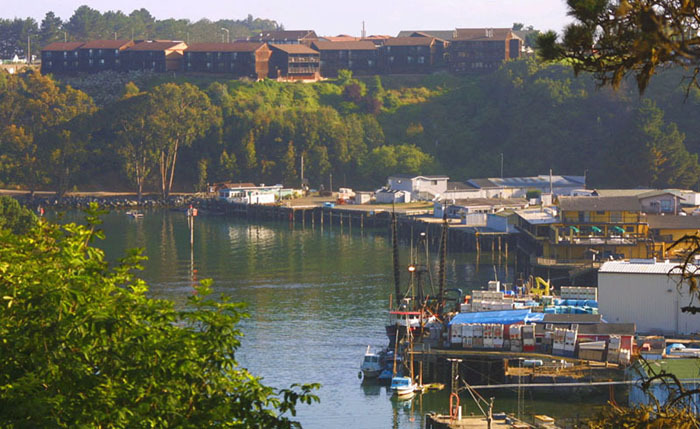 The waterfront of picturesque Noyo Harbor is at your feet from one of the balcony rooms of the Harbor Lite Lodge as well as Silver's at the Wharf. As a matter of fact the water front units of Silvers extend over the Noyo River. Economy rooms are a short walk from the bar and restaurant for $65/2 per night-how smart and convenient! 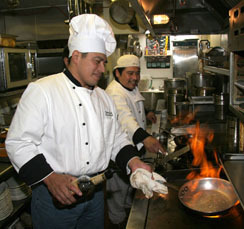 At the lofty Harbor Lite a variety of accommodations and meeting facilities for groups of up to 100 are available. Deluxe rooms (from $165/2) occupy the cliff. Rooms offer bath tubs, 2 queens or a king bed, color TV/DVD/HBO, microwave, coffee, refrigerators, balconies and some have fireplaces. Continental breakfast of homemade waffles, blueberry muffins, granola, fresh fruit, hot chocolate, coffee and orange juice is served at the Harbor Lite. In the harbor is the popular Silver's at the Wharf restaurant and cocktail lounge. 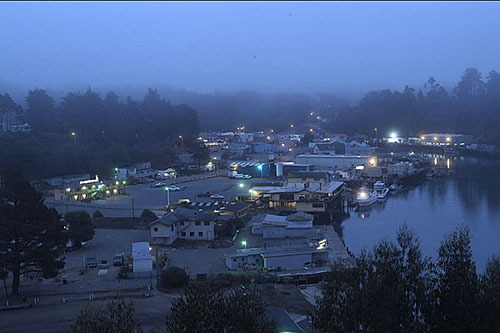 Late at night it's just you and your loved one with the distant fog horn, the cry of overhead seagulls and powerful fishing vessels; their search lights penetrating the mist cruising by. If you get too tipsy a room is a short walk away! 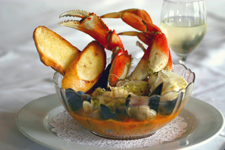 In the upstairs restaurant fresh seafood, steaks and prime rib is served with garden fresh salads, housemade chowder or soup of the day and fresh vegetables. The wine list is comprised of award winning Mendocino County vintages; many of which are salmon friendly wines, which are wines made from organically grown grapes. 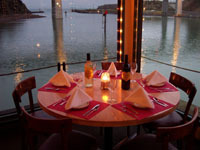 With the new elevator to the spacious 2nd floor lounge and dining room, Silvers at the Wharf Restaurant is very wheel chair friendly and boasts ocean, river, harbor wildlife and fishing fleet views. The outdoor deck (seating for 36) is an especially popular dining experience. A walk around the fishing basin or out to the tip of the jetty overlooking the mouth of Noyo River is invigorating. Both the nearby beach and outdoor dining deck at Silver's are pet friendly. 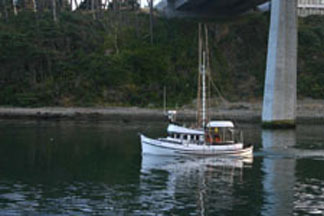 You can charter a boat for fishing or whale watching or rent a kayak to explore the river. The comforts and the setting can lead to a transformational experience.